Strip’s develops LED lighting solutions, sensors, and control and monitoring systems that provide data analytics designed to address challenges in agriculture and farming. New technologies are expected to leverage this development and introduce more robots and artificial intelligence in farming. We support the development of smart farming, and bring information and communication technology closer to agribusiness and farm management. 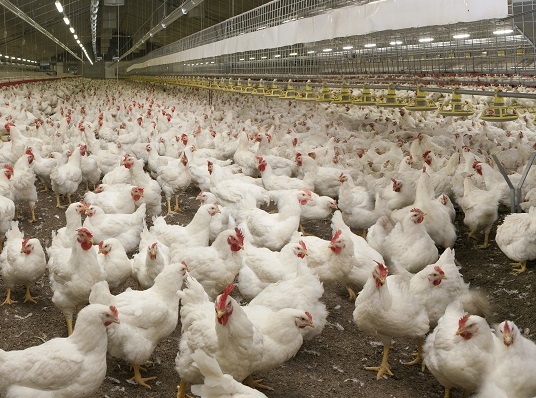 Consider switching to LED lighting with dimming designed especially for dairy and poultry farms and piggeries. Our new generation of light dimmers allows efficient light simulation of the day and night cycle, improving the living environment of animals, while ensuring a better quality of end product and lower power consumption. Their compact housing is resistant to strikes, moisture, and organic compounds that occur on farms, and easy for cleaning. Its components provide long and efficient operation and are extremely user friendly. To find out more about the advantages of our LED DIMMER for chicken farms and how it can benefit farmers, submit your details below, and a member of the Strip’s team will contact you to arrange a brief presentation. Our automation solutions allow green business owners to harvest more and better quality in less time, while using electricity in the most efficient way. Specially selected, cutting-edge LED components offer different combination of wavelengths to stimulate photosynthesis and achieve best possible results. We develop advanced systems for greenhouses by connecting several sensors to our Intelligent Monitoring and Communication System (IMCS). All information from the sensors is collected in one user-friendly application, which analyses the data and presents them to the greenhouse operator. Our tailor-made Greenhouse Lighting Solution gives status information and supports 24/7 control of greenhouses. Our solutions will help your plants grow strong and healthy, as they provide the correct wavelengths for the ideal atmosphere for plants to go through the plant cycle. To find out more about the advantages and benefits of solutions we developed for green business owners, submit your details below, and a member of the Strip’s team will contact you to arrange a brief presentation.